• I am ready to create more balance in my life. • I am ready to improve my personal or business relationships. • I am ready to make real and positive changes in my life. • I am ready to find and live my life's purpose. • I am ready and willing to overcome self-limiting beliefs and behavior. • I am ready to create plans and take action to achieve my goals. • I am ready to achieve a sense of fulfillment at work and in my life. • I am ready for more fun and enjoyment in my life. • I'd like to work less and make more money. • I can benefit from someone who will help me to stay on track. Contact Me Today and Let's Get You Started with Living Your Total Life with the Assistance of a Personal Life-Purpose Coach or Business Consultant! 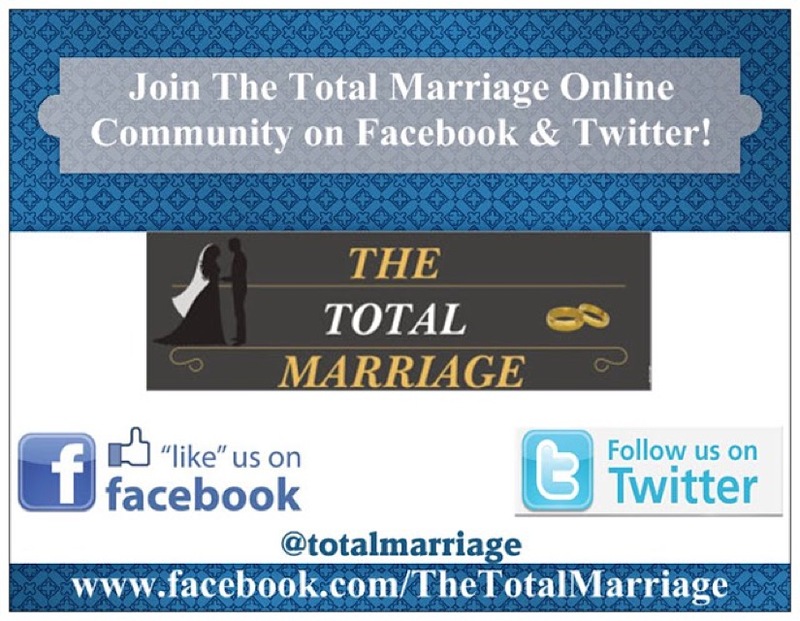 I Want to Help You Achieve Your Total & Maximized Life! 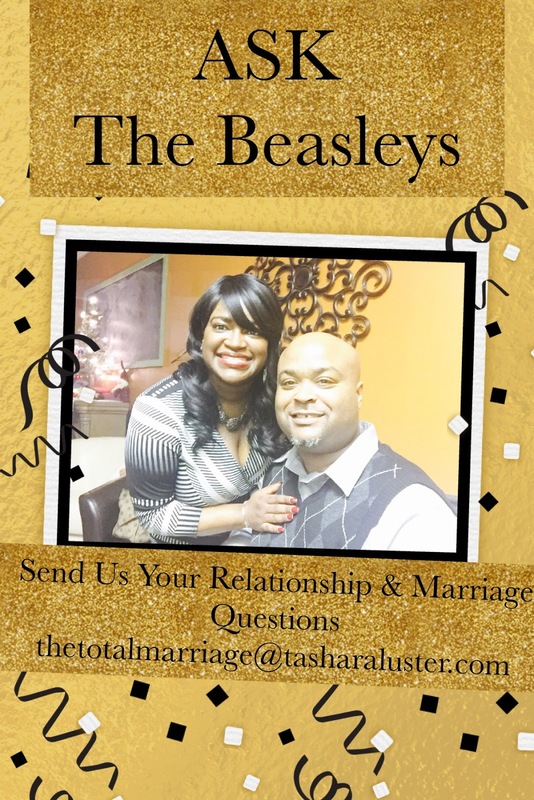 EMAIL ME TODAY TO GET A FREE 15-MINUTE CONSULTATION! Life Coaching Brings Out Success Instead of Stress! How to have great success in every area of your life without sacrificing your family, your fun, and your health. Coaching is Not about telling you what you are doing wrong, but rather How to do Everything Better! Coaching helps you to have more time for the most important people & things in your life! Coaching teaches you how to get More with less… How to give back… How to Win No Matter What! Let’s Connect Together So You Can Start Living Your Total Life...I Want To Help You! 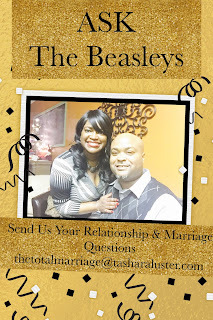 EMAIL ME TODAY TO GET A FREE 15 MINUTE CONSULTATION! 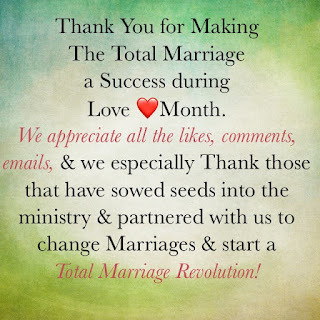 Thank You for Making The Total Marriage a Success during Love ❤️ Month. 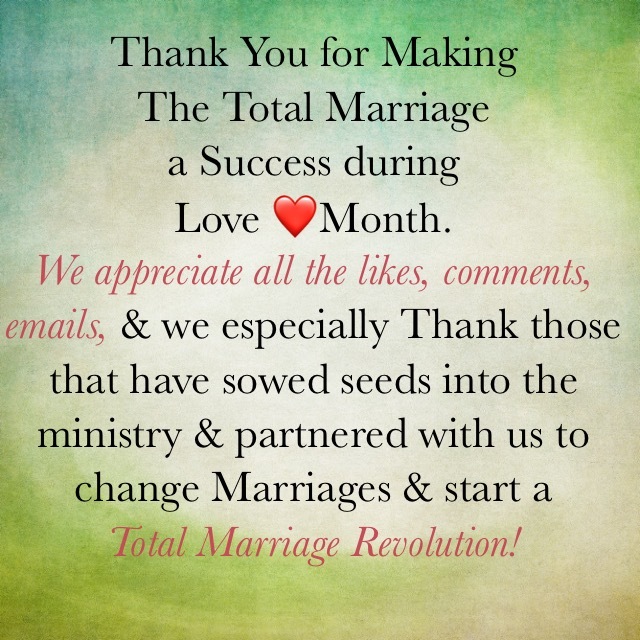 We appreciate all the likes, comments, emails, & we especially Thank those that have sowed seeds into the ministry & partnered with us to change Marriages & start a Total Marriage Revolution! 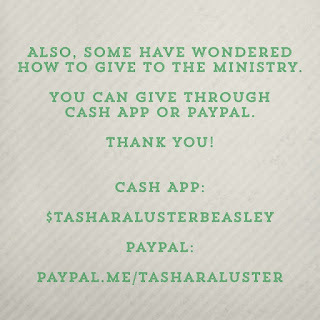 Also, some have wondered how to give to The Ministry. 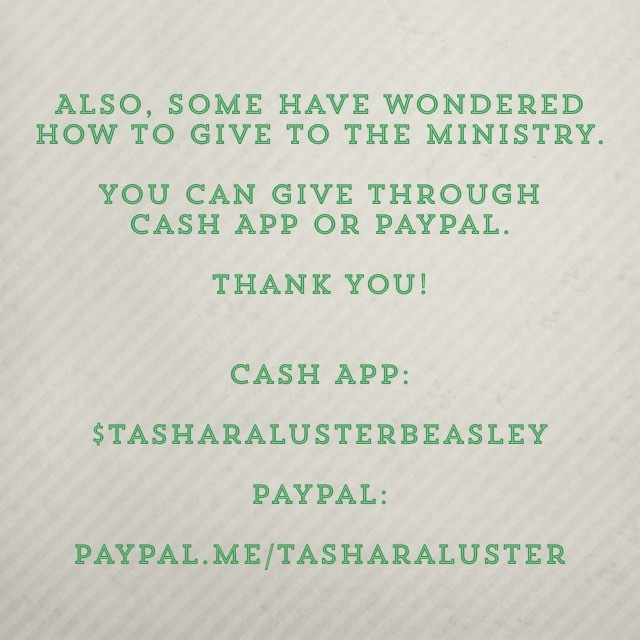 You can give through Cash App or PayPal. Thank You! Stayed Commected with Us through Social Media!